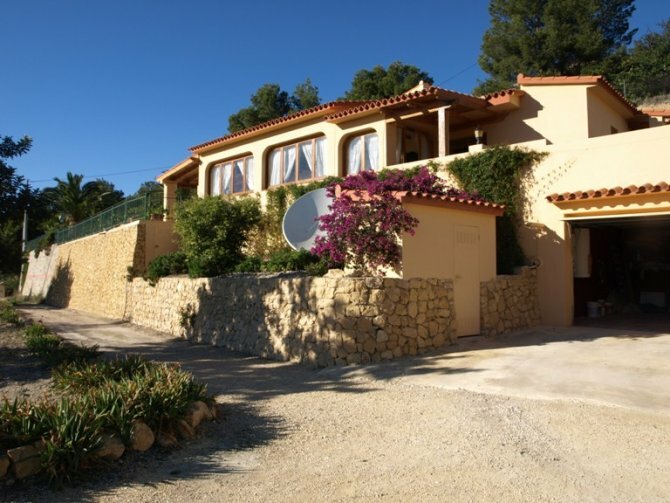 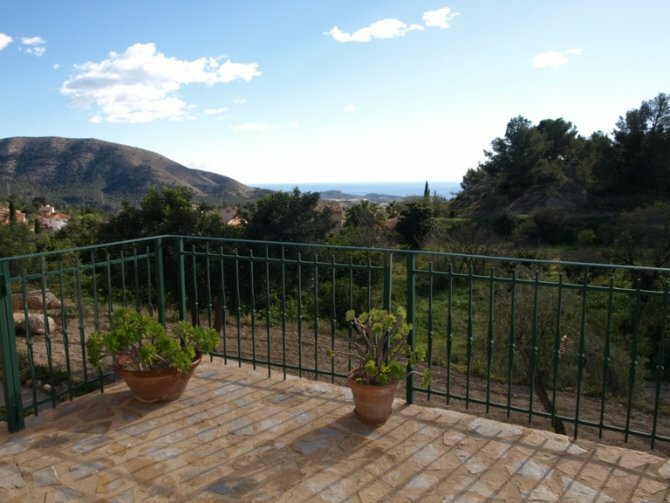 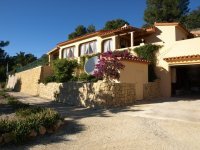 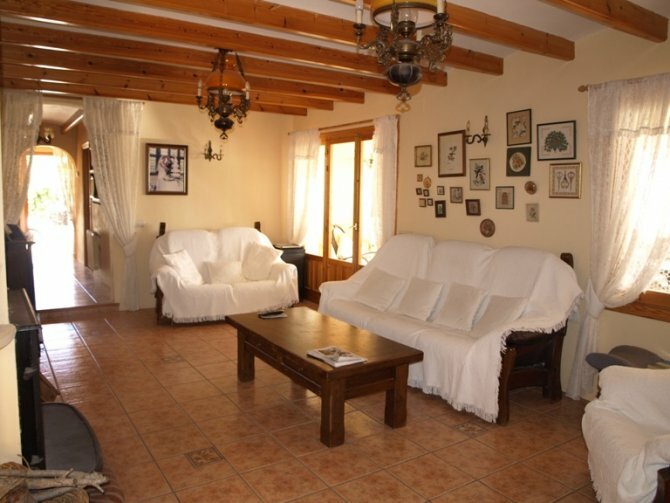 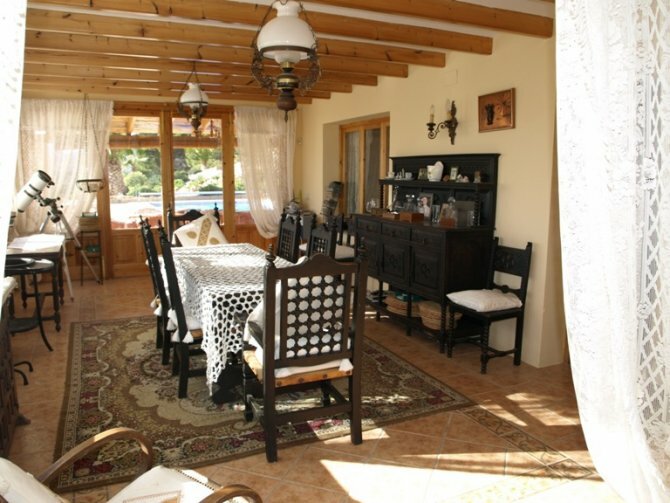 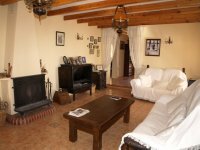 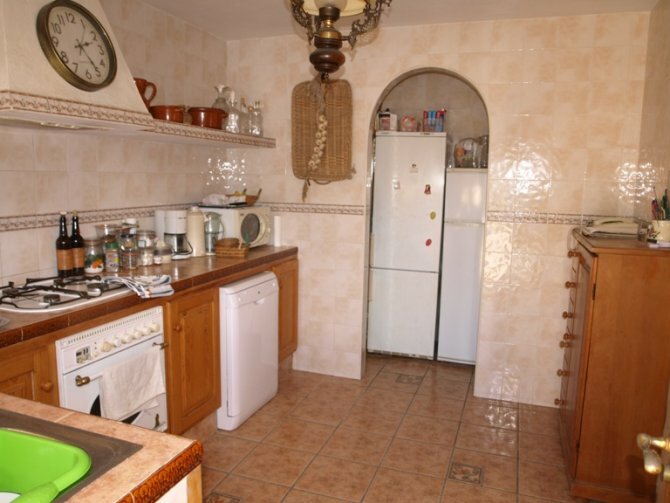 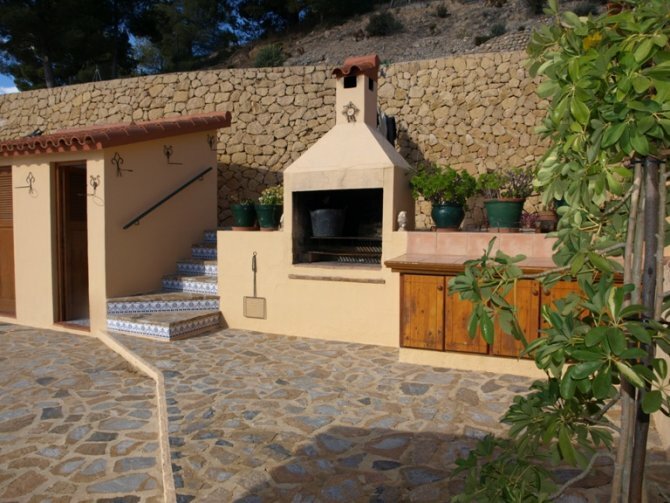 This South-West facing, three bed detached villa in Finestrat is located in a highly prominent location, situated on the edge of the village, set high up with picturesque views across the countryside, the village itself and beyond to the Mediterranean. 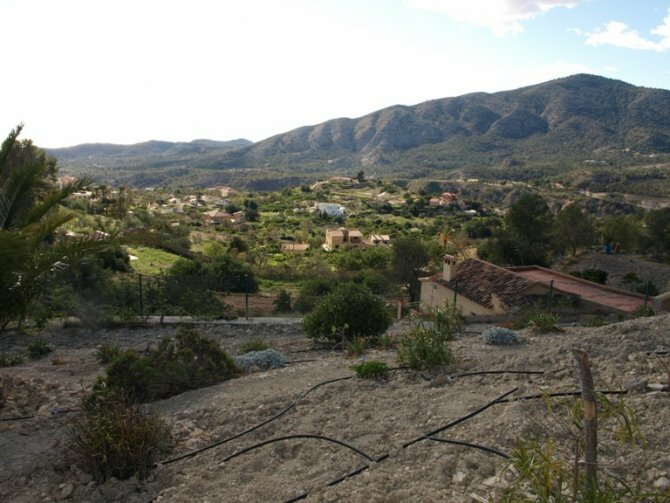 Within a ten minute walk or short two minute drive the village centre with all its amenities and facilities can be found, and the nearest beaches at Benidorm are only 8kms away. This property of over 170m2 build comprises of a separate fully fitted kitchen, with adjoining utility-room; spacious lounge with feature fireplace; dining room with fabulous views and with double doors out to the pool area and front terrace; three double bedrooms, the master bedroom benefiting from an en-suite bathroom through the wardrobe; and a family size bathroom. 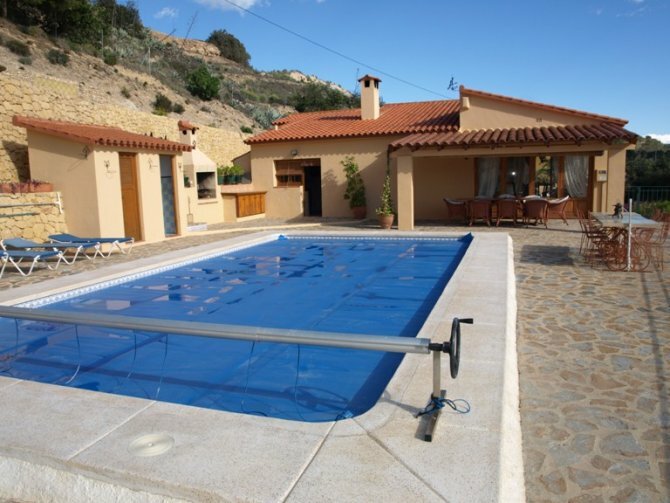 Outside is a delightful garden of 6.000m2 of which 3000m2 is fenced and landscaped consisting of a fabulous swimming pool area, permanent barbeque area, outside shower room, plenty of outdoor dining + sunbathing room, and ample off road parking. Throughout this property are wooden beams giving the property a sense of character, also having central heating, fitted wardrobes, entrance hallway, office area and a separate garage space.